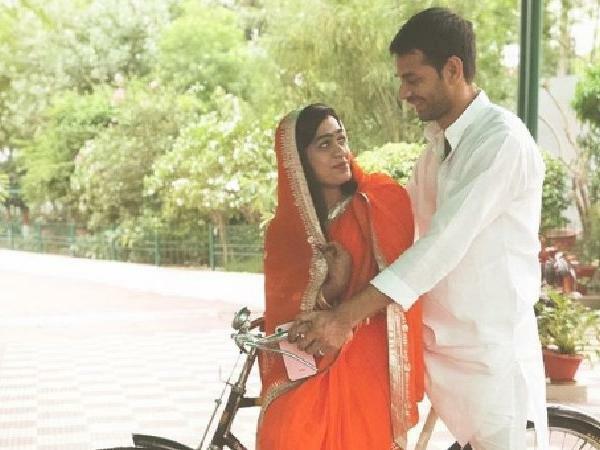 A picture shared by Tej Pratap Yadav, son of RJD chief Lalu Prasad, showing him taking a cycle ride with his newly-married wife Aishwarya Rai has brought to fresh memory that popular Bollywood number. The picture posted on Instagram shows Tej Pratap with his wife Aishwarya Rai as the couple looks very much in love. Clad in an orange saree with her head covered, Aishwarya is seen grabbing the seat next to handle and looking at her husband. It’s, however, not known where the picture was shot. The couple had tied the knot on May 15 at the local veterinary ground in Patna amid presence of several top leaders and gathering of over 30,000 people who attended the wedding venue. It is said quite many of them were “uninvited guests”. Seeing the huge crowd, Tejashwi had later tweeted: “Had we expected that lakhs of people would come to shower their blessings on the couple in the presence of Lalu Prasad, we would have organised the wedding at a bigger venue like Gandhi Maidan. Forgive us for whatever trouble you faced. Thank you, again”. Tejashwi is younger brother of Tej Pratap and served as the deputy chief minister in previous Grand Alliance government.